WASHINGTON—Firms offering online loans, smartphone payments and other financial-technology products would get new flexibility to expand and further shake up the U.S. banking industry under a proposed new federal policy. A top regulator said Friday that his agency would for the first time start granting banking licenses to “fintech” firms, giving them greater freedom to operate across the country without seeking state-by-state permission or joining with brick-and-mortar banks. The move could open the door to more competition between the old and new financial firms, and provide a bigger opening for some large tech companies to consider new ways to offer digital payments or other services. The announcement by Thomas Curry, head of the Office of the Comptroller of the Currency, was a significant move by regulators struggling to strike a balance between encouraging innovation while extending traditional protections to new financial products that have boomed since the financial crisis. “It will be much better for the health of the federal banking system and everyone who relies on those institutions, if these companies enter the system through a clearly marked front gate, rather than through some back door,” Mr. Curry said at a conference Friday at Georgetown University Law Center. Firms that receive the OCC charter would still not be able to accept government-insured deposits without separate approval from the Federal Deposit Insurance Corp. The proposed move was cheered by the tech sector that had long been seeking such an imprimatur, but jeered by financial institutions, some consumer groups and state regulators who see threats in the upending of the old order. Small banks in particular worry about new competition, while consumer advocates and others raised the specter of weaker protections for borrowers. Today, virtually all technology companies join with banks in some fashion to access the payment system or make loans. With a charter, fintech upstarts could possibly move to become independent from banking partners. “A surprisingly large number of players are very closely watching,” said Brian Peters, head of the Financial Innovation Now industry group, which represents big technology companies that offer some banking services. The fintech industry, led by firms such as Stripe Inc., LendingClub Corp. and Square Inc.,has expanded rapidly in recent years. Mr. Curry said that between the U.S. and U.K. alone, there were now more than 4,000 such companies. Investment in the sector has increased from $1.8 billion to $24 billion world-wide in the past five years, he said. Some fintech firms have complained that other countries, notably the U.K., have done more to update their regulatory systems to allow for financial experiments that could improve consumers’ experience. Even before the OCC announcement, some fintech firms had sought a national license. One firm, Boston digital-payments pioneer Circle Internet Financial Ltd., said such a move would reduce the cost and complexity of doing business. On Friday, small-business lender On Deck Capital Inc. said it would consider applying for the fintech charter. The proposal is open to public comment through Jan. 15 and is expected to generate significant reaction, following monthslong deliberations inside the OCC about whether to become the first U.S. federal regulator to allow nonbank fintech firms to possess some of the same powers that full-fledged banks do. Consumer groups and banks have raised concerns about the rise of the fintech industry operating outside of federal supervision, with older financial institutions arguing that they would be disadvantaged if fintech firms can become banks. Many small banks have also collected fees by issuing loans or acting as money-transfer agents on behalf of tech firms. Now, they could be competing with those same partners. 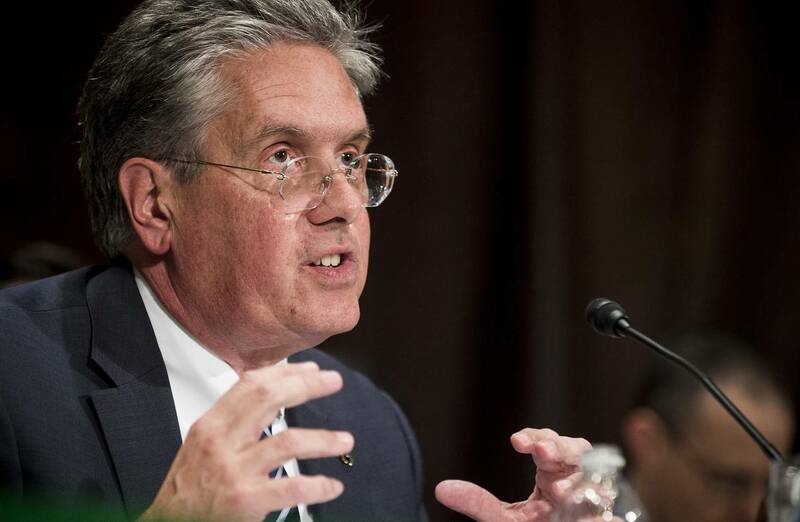 Camden Fine, chief executive of the Independent Community Bankers of America, which represents small banks, said he had serious concerns with the notion of a fintech charter, which “poses risks to taxpayers and the financial system” if it allows startups to offer banking services without the same regulatory burdens. A move to open up the federal banking system to fintech companies will depend on a number of important details, including the role of capital requirements, state-by-state interest-rate caps lenders have to abide by, and community reinvestment requirements. It would also come in a new presidential administration that many expect to be more friendly to the financial-services industry in general. The term for Mr. Curry, who is appointed by the president, expires next year. Friday’s charter proposal was broader than some expected, said Reuben Grinberg, an attorney at Davis Polk & Wardwell LLP. While lending was anticipated to be covered by the proposal, the OCC also referred to “paying checks,” a sign that the charter would potentially open up businesses for fintech firms issuing debit cards or doing peer-to-peer payments. “I’m cautiously optimistic that a lot of firms will be exploring this,” Mr. Grinberg said. In February, the Consumer Financial Protection Bureau announced a policy to encourage companies to develop untested financial products. The program has yet to be widely used.